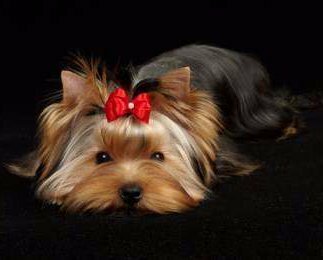 The Yorkshire Terrier, like any other dog breed, is prone to certain health issues. These may be inherited, congenital or acquired. Even when a good & ethical breeder checks the pairing of dogs for genetic diseases which may be passed down from parent to puppy, genes may skip several generations. 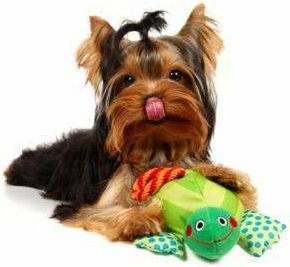 The Yorkie may be more prone to these canine disease; but this does not mean that your puppy or do will develop any of them. It is wise to be aware of the more possible Yorkie health problems which will allow you to notice symptoms early, thus allowing for a faster diagnosis, treatment and easier recovery. 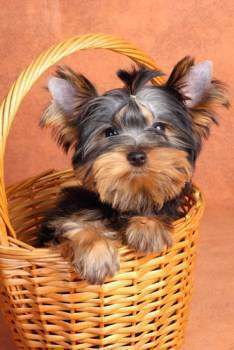 This is most common with toy breed dogs, such as the Yorkshire Terrier and if it does occur it generally will happen between the ages of birth to 4 months old. This is a typical Yorkie health problem that one should keep an eye out for during those first few crucial months of ownership. 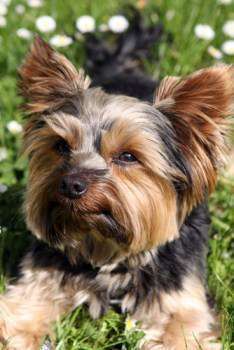 An adult Yorkie may develop hypoglycemia, although it is much more rare. With adult dog, severe Addison's Disease liver disease, sepsis and pregnancy complications may bring this on. What is This? Hypoglycemia is fast drop of blood sugar levels. Just about every element of a puppy's body depends on the proper balance of sugar in the bloodstream. For example, the Yorkie's liver manufactures glucose and for stores it for release into the blood stream as needed. Muscle tissues store some of the important materials used in this process. Brain function and motor skills depend on this. When Hypoglycemia develops, there is only a small window of time to treat the puppy. 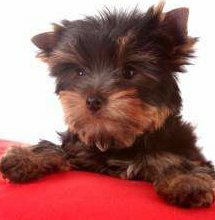 Several factors can bring this on such as stress, a lack of nutrients and puppies who are born much smaller than average...however this can happen to any Yorkie pup. Any breeder will be able to tell you that they have all experienced Hypoglycemia in puppies. What are the Symptoms? There are symptoms for this. However, it is important to note that a puppy may not display all of them, they may not happen in the order in which they are listed or they may happen so quickly in succession that imminent danger is present within minutes. All small puppies must be watched very closely. If symptoms appear, immediately medical attention is required to save the life of the Yorkie puppy. Look for: Drowsiness, shaking, fainting, confused behavior, seizures, weakness, depression, muscle weakness and tremors, a drop in body temperature, coma...some owners mistakenly believe that the puppy has passed on. How is This Treated? As soon as you notice the symptoms of this, you should rub honey on the gums of the Yorkie puppy. It is recommended that all puppy owners keep this on hand. Warm heating pads should be placed around the pup to slowly warm up body temperature. These are steps to take just to stabilize the puppy so that you are then able to rush to the veterinarian for an emergency appointment or go straight to the animal hospital. The vet will give the puppy a warmed dextrose solution that is injected subcutaneously and the puppy may be given an IV drip until stabilized. Adult dogs with Hypoglycemia are treated for the underlying cause. In addition being fed small meals throughout the day, which are high in protein, fat and complex carbohydrates is helpful. Find out about the most helpful, comprehensive Yorkshire Terrier book in the world. See what's inside. What is This? This is a disease of the hip joint which sometimes develops in certain Yorkshire Terrier lines. The dog’s hip area begins to receive inadequate circulation of blood, the bone in the dog’s femur weakens and begins to collapse; the cartilage surrounding this can become cracked and malformed. How is the Diagnosed? X-ray examination of the hip joints will confirm the diagnosis. As the bone changes happen very slowly, x-rays taken early in the disease may appear normal. Therefore, it is recommended to repeat the x-rays again after 3 weeks to show any bone changes. What is the Treatment? Treatment of Legg Perthes in a Yorkie is surgery to remove the damaged head and neck of the femoral bone (hip). After this is removed, the ligaments which interweave across the dog’s hip joint will strengthen and create a false joint. The Yorkshire Terrier usually recovers much better from this than larger dogs and many regain almost normal use of the leg. Others may always have some gait irregularity but can live a very productive life. A dog will need time to recover and for the ligaments to grow strong; this can take up to a year or so before he or she can walk, exercise and play around normally. What is This? This is an irregularity of the retina of the dog’s eye. Most forms of Retinal Dysplasia in the Yorkshire Terrier are inherited and therefore is a Yorkie health concern when breeding...If this is present in a dog, he or she should not be bred. The retina is a thin layer of tissue which cover the back of the dog’s eyeball, this is where the sense of vision occurs. When there is this irregularity, the tissue is affected which then in turn will cause vision problems. In some cases, blindness will occur. This is not the only breed that is more prone to this, others such as the Beagle, Labrador Retriever, English Cocker Spaniel, American Cocker Spaniel, English Springer Spaniel, Yorkshire Terrier, Akita, Afghan Hound, Australian Shepherd, Doberman, Old English Sheepdog, Rottweiler are prone as well. What are the Symptoms? In mild cases, you may not see any signs and the dog will not have a problem that is severe enough to interfere with his or her daily activities. It is often only caught when a full exam is being performed, including an eye exam. If a dog only has retinal folds, this only creates small blind areas and the dog will adjust and be able to function just fine. What Causes This? Most cases are inherited. However it is presumed that trauma to the eye or damage from an infection may also cause this to develop. There is a theory that the herpes infection, prenatal infections with Parvovirus and exposure to some toxins may lead to this. How is This Diagnosed? Compete physical exams should be performed each year and the eye exam may find this. When it is suspected that a Yorkie may have Retinal Dysplasia, there is a certain eye exam created by the Canine Eye Registry Foundation and a certified ophthalmologist (CERF) will perform the test. What is the Treatment? There is no treatment, as of yet. Dogs with mild cases can function perfectly fine. In fact, with puppies, the mild form may correct itself as the dog matures. In severe cases, it is found that dog’s do very well at adjusting to a partial or full loss of vision. 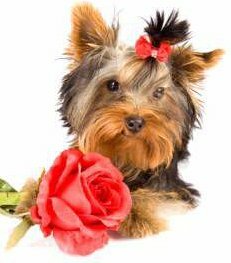 Since the Yorkshire Terrier has an incredible sense of smell an hearing, some owners do not even notice that their dog is compensating for a loss of vision. Keep dog food, water, toys and other dog objects in the same spot, all of the time. What is this? The patellar (kneecap) is held together by tendons and tissue. When a Yorkie puppy has Patellar Luxation, the kneecap slips loose of the normally strong hold. The kneecap of the puppy may slip out and back in again or remain out. If not fixed, this can cause a dog to be lame and have limited or zero motor functions of the legs. How is This Diagnosed? Your dog's veterinarian will be able to know via X-rays and ultrasound. How is This Treated? Minor to moderate cases are treated with strict bed rest (3 to 6 weeks) along with anti-inflammatory medications. This works well in many cases; though once the knee has slipped it is more prone to do so again. Gradually helping a dog to build stronger muscles around the knee can be helpful in preventing another episode. With your vet's approval, walking uphill is one of the best ways to achieve this. For severe or for re-occuring issues,surgery may be needed; which has a 90% success rate. What is This? This is common among toy breed dogs, this breed included. Tracheal Collapse is a narrowing or collapsing of the trachea (windpipe) . This can happen because the cartilage rings which hold the trachea soften due to genetic weakness. This can also happen when a small dog such as the Yorkie is attached to a dog collar and leash. If the dog lunges forward or if the owner pulls back to hard, the trachea rings can collapse inward. For this reason, it is highly recommended to walk a Yorkie with a harness on, as opposed to a dog collar. Doing so also gives you better control when training your dog to heel,etc. These symptoms may be more apparent right after the dog has exercised and/or in hot, humid weather. In severe cases, the gums may turn blue (due to a loss of air) and the dog may faint. How is This Diagnosed? The veterinarian will evaluate the dog and perform X-Rays. How is This Treated? Treatment usually includes steps to reduce coughing and trauma to the dog's airway. If it is determined that this is a severe case, surgery should be performed. Prognosis is good after surgery, with the majority of dogs able to breathe normally and go back to an active lifestyle. What is This? This is a canine disease in which there is an inherited abnormality of the portal vein (which brings blood to the liver for cleansing). In this condition some of the dog's blood bypasses the liver and the unfiltered blood flows throughout the dog’s body; this then poisons the dog’s heart, brain, lungs and other organs with toxins. How is the Diagnosed? Blood work is done to look for either high serum bile acids levels after a the dog has had a meal or an increase of fasting blood ammonia levels. What is the Treatment? Surgical treatment is best, when it can be performed and the prognosis and benefits outweigh the risks. When surgery is not an option, PSS is treated with dietary protein restriction, antibiotics and other medicines which help to reduce ammonia production and absorption in the intestines. While these are canine diseases of which the Yorkie is more prone to, this does not mean that a Yorkie will ever develop any of these conditions. There are things that an owner can do to maintain good health. 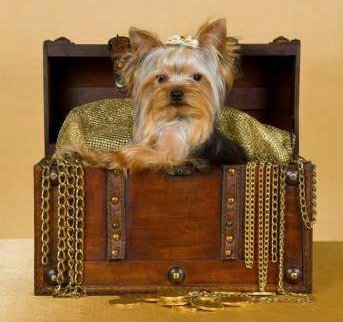 Some may seem very obvious; however in order to stick to a budget or not paying attention for even a minute can mean the difference between a Yorkie that lives a long & happy life and a Yorkie who has troubling health issues. Do not make fast changes to the dog's environment or food. Puppies are very sensitive to changes, which can cause stress, which then in turn can cause Hypoglycemia. Properly groom, especially taking care of the ears, at-home preventative dental care of the teeth and clipping of the nails. Always feed a very high quality food. This will have an enormous impact on health. From digestive problems, to the bad habit of eating feces...inexpensive food can cause havoc to the body and a high quality food will keep your Yorkie healthy. Be sure to have your dog receive all vaccinations, worming, heartworm medication and flea prevention. Never think, "That won't happen". Even if he or she rarely goes outside, shots must be given in full. Puppies should not be brought out to any public places until all puppy shots are done, this is usually by the 14 week age mark. Arm yourself with detailed knowledge. Know about all symptoms, easy to understand details of Yorkshire Terrier Health & get expert advice before you rush out to the vet. For the most comprehensive Yorkie care book that exists,check out the YorkieInfoCenter eBook.